Born in Hoboken, New Jersey and schooled as an engineer in Germany, Alfred Stieglitz (1864-1946) returned to New York in 1890 determined to prove that photography was a medium as capable of artistic expression as painting or sculpture. As the editor of Camera Notes, the journal of the Camera Club of New York—an association of amateur photography enthusiasts—Stieglitz espoused his belief in the aesthetic potential of the medium and published work by photographers who shared his conviction. When the rank-and-file membership of the Camera Club began to agitate against his restrictive editorial policies, Stieglitz and several like-minded photographers broke away from the group in 1902 to form the Photo-Secession, which advocated an emphasis on the craftsmanship involved in photography. Stieglitz edited the association's luxurious publication Camera Work from 1902 to 1917, and organized exhibitions with the aid of Edward Steichen—who donated studio space that became the Little Galleries of the Photo-Secession in 1905, familiarly known as "291" for its address on Fifth Avenue. Through these enterprises, Stieglitz supported photographers and other modern American artists, while also apprising artists of the latest developments in early twentieth-century European modernism (with the help of Steichen's frequent reports from Paris), including the work of Auguste Rodin, Pablo Picasso, Constantin Brancusi, and Francis Picabia. 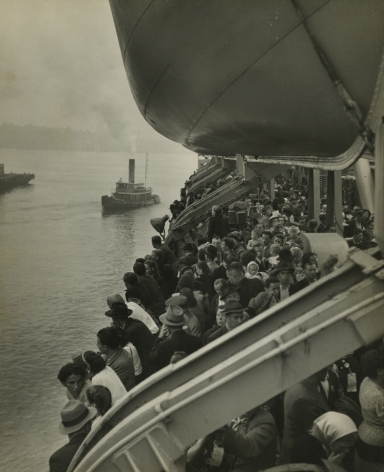 His knowledge of this new kind of art is evident in photographs from these years such as The Steerage in which the arrangement of shapes and tones belies his familiarity with Cubism, and From the Back Window, 291 in which Stieglitz's internalization of avant-garde art combines with his own expertise in extracting aesthetic meaning from the urban atmosphere. 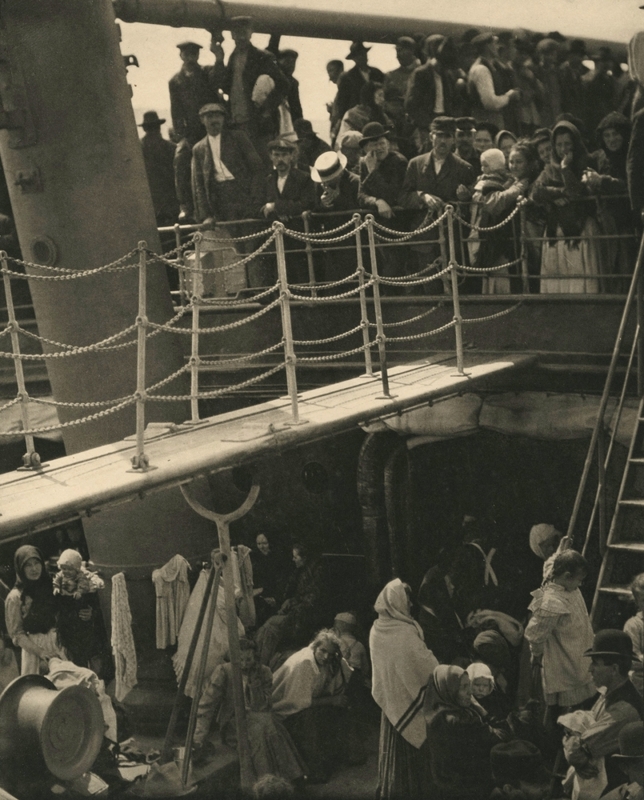 By 1917, Stieglitz's thinking about photography had begun to shift. Stieglitz's support for the photography of Paul Strand and Charles Sheeler crystallized the new approach to the medium, and the change could also be seen in his own photographs. His celebrated portraits of Georgia O'Keeffe became one of his chief occupations between 1917 and 1925, during which time he made several hundred photographs of the painter (who became his wife in 1924). Stieglitz's series of photographs of clouds, which he called Equivalents, were made in a similar spirit. The cloud pictures functioned as analogues of Stieglitz's emotional experience at the moment he snapped the shutter. In the final decades of his life, Stieglitz devoted his time chiefly to running his gallery (Anderson Galleries, 1921–25; The Intimate Gallery, 1925–29; An American Place, 1929–46), and he made photographs less and less frequently as his health and energy declined. When he did photograph, he often did so out of the window of his gallery. These final photographs were impressive achievements that both synthesized the various stages of his photographic development and solidified his position as the most significant figure in American photography.